Teaching Memoir and Writing with Style at WCC today! Teaching today and next Saturday at Washtenaw Community College: Jumpstart Your Memoir and Writing With Style. Come join us! The event is spearheaded by Amy Stillman and Susan Najita, who are both Asian/Pacific Islander Studies Program professors at the University. Kekuhi and Kaumakaiwa’s music style is a showcase of what native Hawaiian artists are about. Featuring dramatic melodies, passionate lyrics and ancient ‘oli chants, Stillman and Najita are confident that the concert will be worth seeing, even for those with little knowledge of Hawaiian culture. Directly translated, “makawalu” means “eight eyes” and encourages people to develop multiple perspectives. Today! 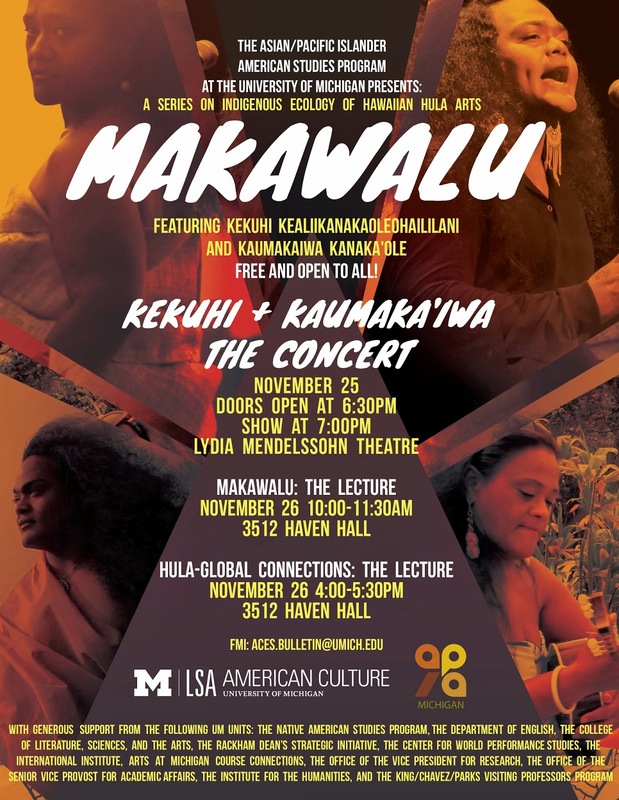 Asian/Pacific Islander American Studies at the University of Michigan is hosting a concert and lecture series with legendary hula artists Kekuhi Kealikanakaoleohaililani and Kaumakaiwa Kanaka'ole. Concert: Monday, November 25, 7:00 pm, at University of Michigan Lydia Mendelssohn Theatre, Ann Arbor. Doors open at 6:30. Free. Lectures: Tuesday, November 26, 10 am and 4 pm, 3512 Haven Hall. Not to be missed. Seriously. 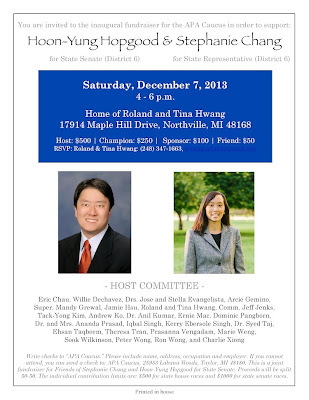 Fundraiser for Stephanie Chang and Senator Hoon-Yung Hopgood, Saturday, December 7, 2013. WHAT IS MISS SAIGON? WHAT’S WRONG WITH IT? The musical Miss Saigon is launching in Minneapolis and several other cities, and the London re-staging broke the record for West End box office ticket sales, making 4.4 million pounds in one day. Many defenders of Miss Saigon, a play written by two white men based on a photograph they saw, insist that the play is “truthful” and “historically accurate.” What is especially problematic is that Miss Saigon is the longest running and most enduring pop culture representation of Vietnamese people in the Western world – and to a certain extent and by extension of racism, it presents a narrow lens through which all Asians are viewed. While we recognize that there are many truths, we also see that institutional racism, sexism, and colonization continually reinforce shallow stereotypes of people of color, and the ‘truths’ that are most often lauded and supported are exploitative works that reproduce and validate harmful power structures and chauvinism that ultimately harms the people they claim to portray. Miss Saigon is such a spectacle: a big budget ode to colonialism that romanticizes war and human trafficking. Encourage them to run George Takei's new musical, Allegiance, instead! 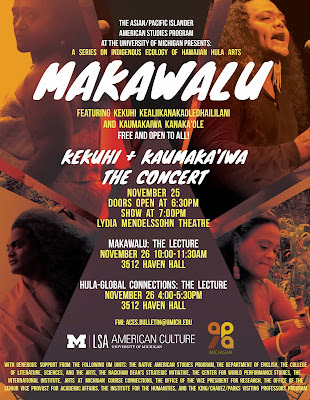 Next Monday Nov. 25 7pm at the University of Michigan: Makawalu! Quote of the day: "Diversity is a lot of different people in a room, multiculturalism is when they talk." Helen Zia! Photos from American Citizens for Justice / Asian American Center for Justice 30th Anniversary Fundraising Dinner. Photos by Frances Kai-Hwa Wang, not to be reproduced without permission. American Citizens for Justice Fundraising Dinner Today! Today! 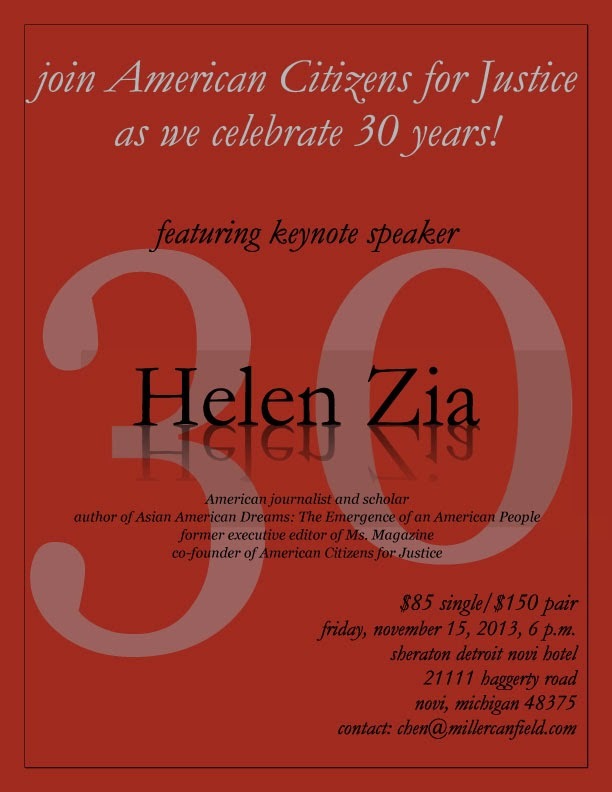 Come meet Asian Pacific American hero Helen Zia at American Citizens for Justice / Asian American Center for Justice fundraising dinner November 15, 2013, 6pm! 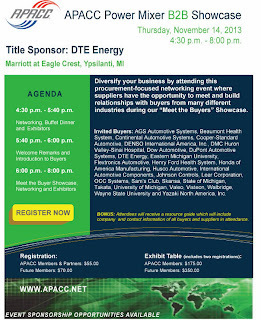 (♥ swoon ) Corporate and nonprofit sponsorships available, as well as discounted student tickets. 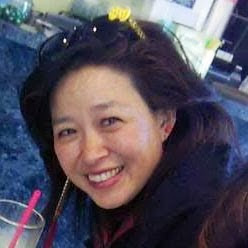 Best Regards Advancing Justice Conference from American Citizens for Justice / Asian American Center for Justice and Michigan Asian Pacific American Affairs Commission Wish we could be there with y'all, but we're having dinner with Helen Zia! swoon! 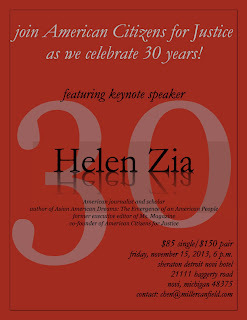 Tomorrow: Helen Zia will be the keynote speaker at American Citizens for Justice / Asian American Center for Justice fundraising dinner November 15, 2013, 6pm! (♥ swoon ) Corporate and nonprofit sponsorships available, as well as discounted student tickets. Go Go Angry Asian Man Phil Yu who is speaking on the opening plenary of the Advancing Justice Conference 2013 on Thursday Nov 14 in Los Angeles, Californnia. So sorry to be missing all the fun this year, but look forward to catching up with everyone soon... American Citizens for Justice / Asian American Center for Justice sends best regards! Asian/Pacific Islander American Studies at the University of Michigan is hosting a one-night only concert and lecture series with legendary hula artists Kekuhi Kealikanakaoleohaililani and Kaumakaiwa Kanaka'ole Monday Nov 25 6:30 pm. See you there! Come meet Asian Pacific American hero Helen Zia at American Citizens for Justice / Asian American Center for Justice fundraising dinner November 15, 2013, 6pm! (♥ swoon ) Corporate and nonprofit sponsorships available, as well as discounted student tickets. Check out this article I wrote for Ann Arbor Observer on today's event 3 pm at University of Michigan Crysler Arena. 6th Annual Army vs. Navy Wheelchair Basketball Game, sponsored by U-M Council for Disability Concerns. Fun! 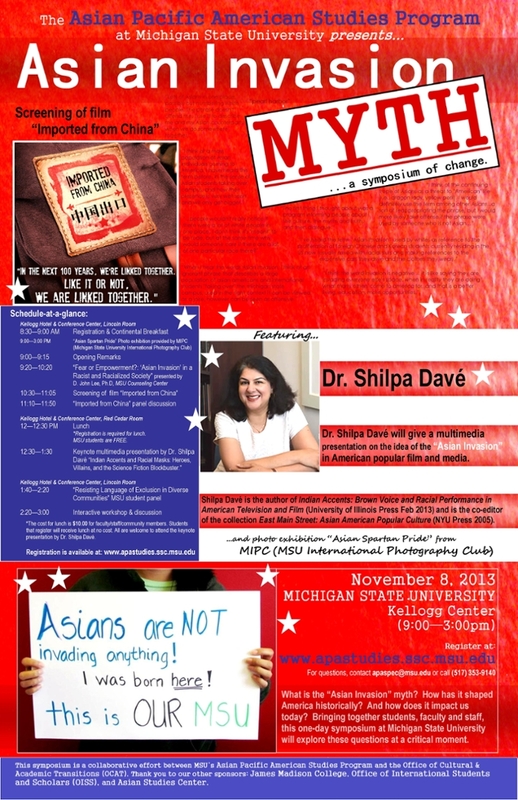 Today at the APA Studies Program | Michigan State University: The Asian Invasion MYTH Symposium of change, MSU Kellogg Center, November 8, 2013, 9:00 am - 3:00 pm. with Dr. Shilpa Dave as keynote. 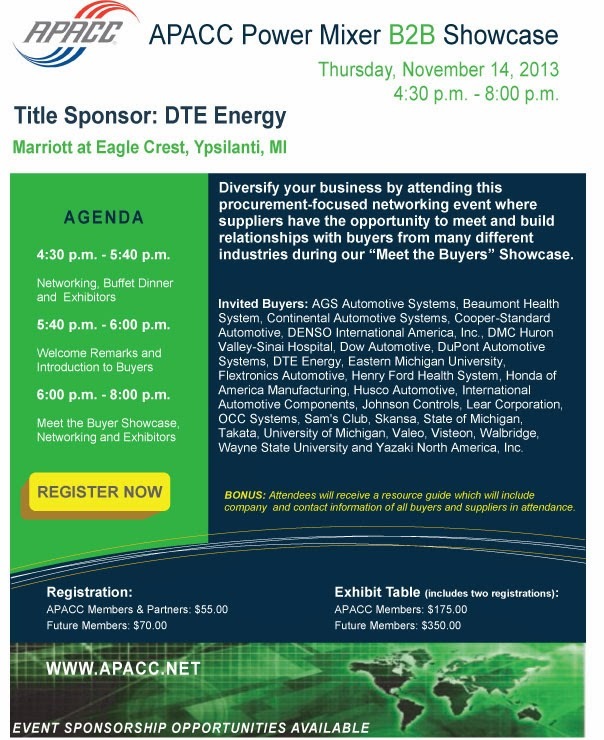 Speaking today at the Michigan Black Chamber of Commerce Urban Economic Conference in Detroit! Students! Come meet Helen Zia for American Citizens for Justice! NOW! Student Tickets available for $40! Come meet Asian Pacific American hero Helen Zia at American Citizens for Justice / Asian American Center for Justice fundraising dinner November 15, 2013, 6pm! (♥ swoon ) Corporate and nonprofit sponsorships available. Teaching a weekend writing workshop today and tomorrow at Washtenaw Community College: Ethical Wills: Writing a Love Letter to Your Family. Come join us!